TOKYO — President Donald Trump said Monday that Sunday's mass shooting at a Texas church "isn't a guns situation" but instead "a mental health problem at the highest level." Asked at a joint press briefing with Japanese Prime Minister Shinzo Abe if he would consider pressing for gun control measures in the wake of America's second mass shooting in a month, Trump said "mental health is your problem here," calling the shooter a "very deranged individual" with "a lot of problems over a long period of time." The U.S. Air Force confirmed Sunday that Devin P. Kelley, a former member of the USAF, was court-martialed in 2012 for assaulting his spouse and child and later discharged for bad conduct. Trump dismissed guns as the root of the problem in Sunday's shooting, saying "we could go into [gun control policy], but it's a little bit too soon." He highlighted reports that a resident with a rifle confronted the gunman, saying the shooting otherwise "would have been much worse." "It's a very, very sad event. These are great people," he said. Earlier, Trump called the incident a "murderous attack" that embodied an "act of evil' during his first public remarks on the shooting since he awoke to them in Japan on Monday morning. "We pull together and join hands and lock arms," Trump said, offering words of support to Texans before continuing with his remarks to business leaders here in Japan. "And through the tears and through the sadness, we stand strong. Oh, so strong." News broke Sunday morning that a gunman had opened fire inside First Baptist Church in Sutherland Springs, Texas, killing 26 people. The rampage is the largest mass shooting in Texas history, officials said. 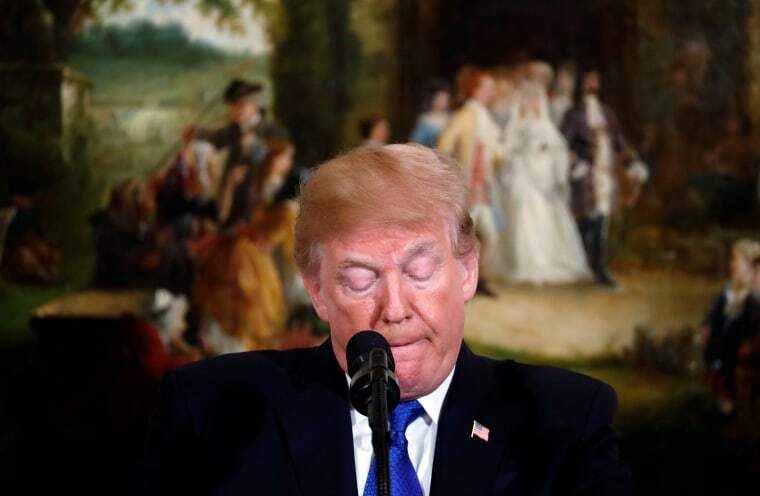 The shooting happened in a "place of sacred worship," Trump said, telling Americans to "pray to God to help the wounded and the families of the victims" while offering condolences to those who lost loved ones. "We will never, ever leave their side," he promised. Former President Barack Obama echoed Trump's remarks, saying on Twitter: "We grieve with all the families in Sutherland Springs harmed by this act of hatred, and we’ll stand with the survivors as they recover..."
It is the second time in a month that Trump and the nation has had to contend with a mass shooting. A gunman opened fire in Las Vegas just last month in the deadliest mass shooting in modern U.S. history. Then, Trump labeled the tragic event an "act of pure evil."